A large student protest was organized in Florence against Interior Minister Matteo Salvin. The minister's face has ended up in posters in the form of a target to be shot. Another protest on October 26 is announced, with the main theme the fighting of racism. Protest students refuse the limits to foreigners. They say they can not sit idly knowing that nearly 200 people are stranded on a ship overnight, as if they were animals! They refuse to stay passive, while their classmate risks becoming clandestine. 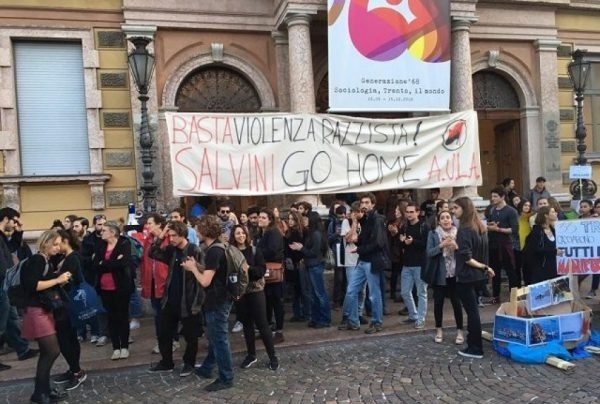 Students refuse to remain silent, considering racist propaganda violence and the laws of Minister Salvini. "Facing this situation is our duty," say the students "to counter Salvin and the Italian Government. Young people say they do not trust the "emigrant's fable" as the origin of all the bad things. Another protest poster wrote: "We have different colored skin, but we study in the same desks. Our enemy is the one who seeks to divide us while stealing the opportunity to establish a future. In a post on Facebook, responding to this protest, Minister Salvini writes: "I feel regret and disgust for these insults. "It has long been that these so-called students have become tedious and excessive. I do not give up!"